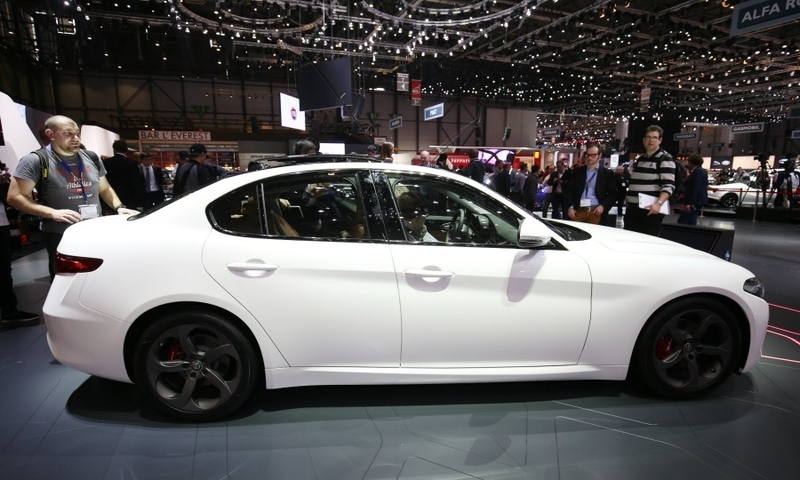 The Alfa Romeo Giulia has better driving dynamics than rivals such as the BMW 3 series because the standard models were derived from the car's Quadrifoglio performance version rather than the other way around, Fiat Chrysler Automobiles Chief Technology Officer Harald Wester said. "All our competitors develop the base model and when everything is done they squeeze in the top model," Wester said. 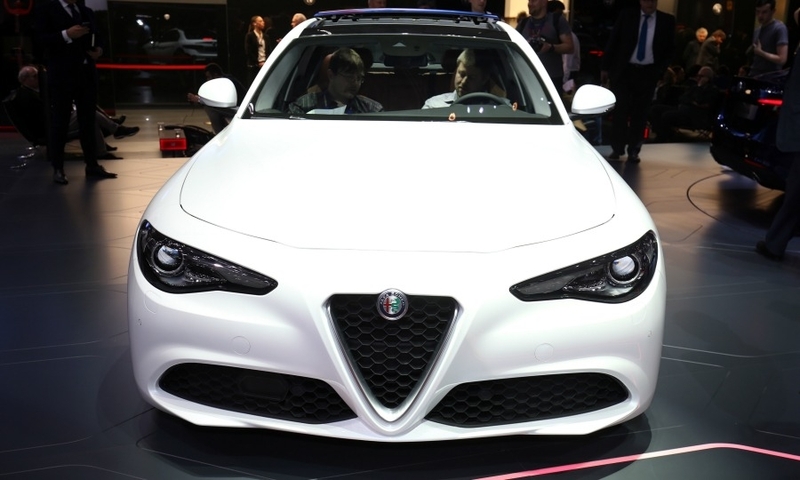 He cited the Giulia's lightweight carbon-fiber propshaft as an example of how all variants have top-of-the-line specifications. The propshaft is common to the whole Giulia range. 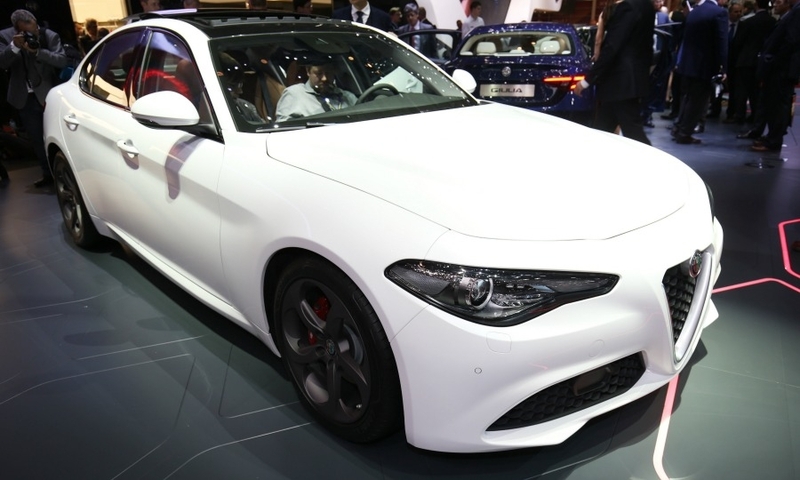 The midsize sedan is the first model to be built on Alfa's new rear-wheel-drive Giorgio platform that will underpin a family of eight models that are key to the struggling brand's revival. The mainly steel Giorgio platform is made lighter using aluminum for the suspension turrets, fenders, doors and front suspension. The Quadrifoglio has a carbon fiber roof and hood. 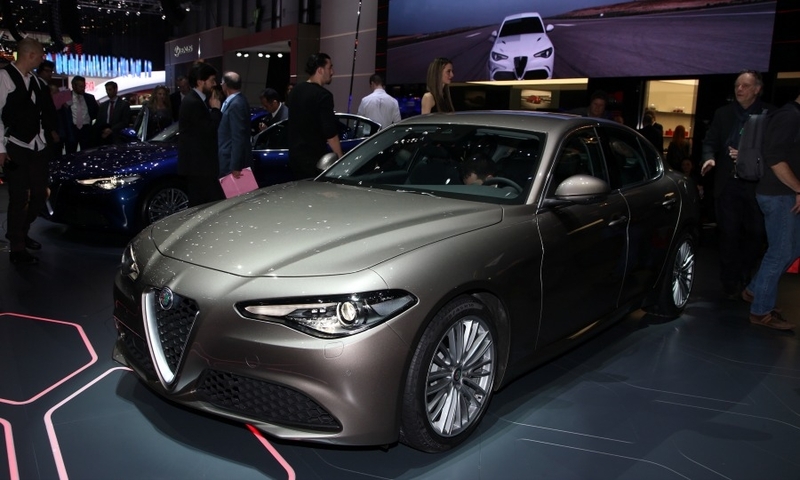 Philippe Krief, Alfa's chief engineer for the Giorgio platform, said: "We wanted a high-powered car with low fuel consumption and a ride as comfortable and quiet as a limousine." 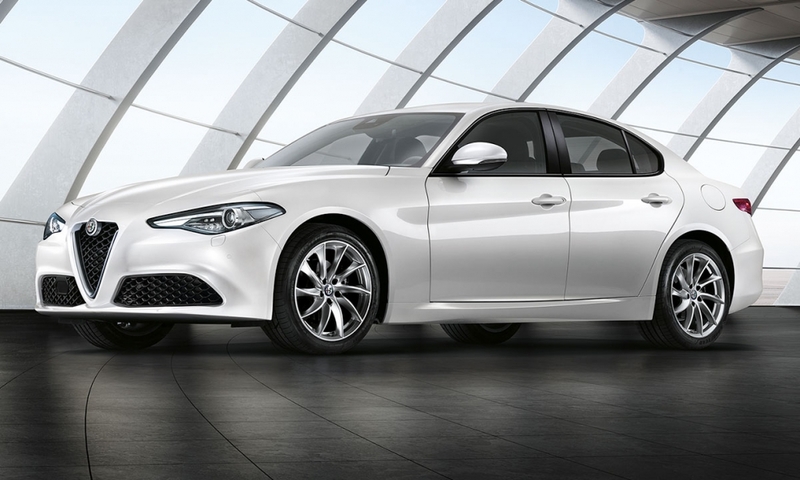 Krief said the Giulia is the lightest car in its class at 1,374kg for the 180hp 2.2-liter diesel version with a manual transmission. 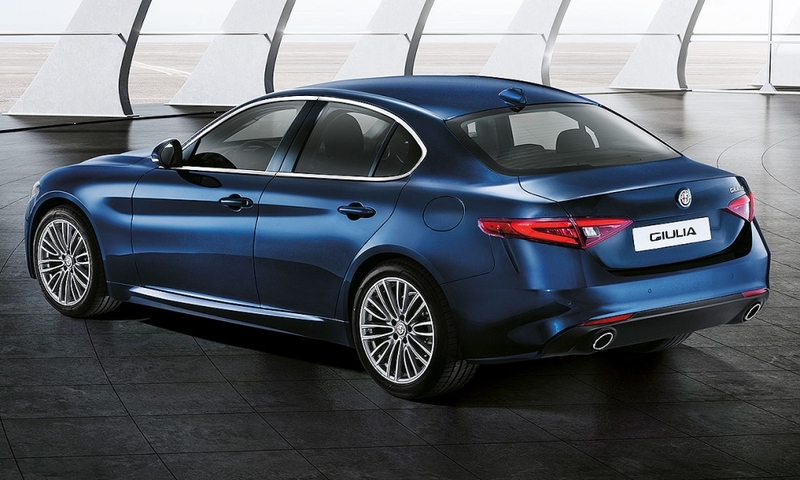 The lightness means Alfa can use a cheaper lean NOx trap to clean diesel emissions to Euro 6 standards. All versions except the Quadrifoglio can be sold with all-wheel drive, but executives gave no date for its introduction. 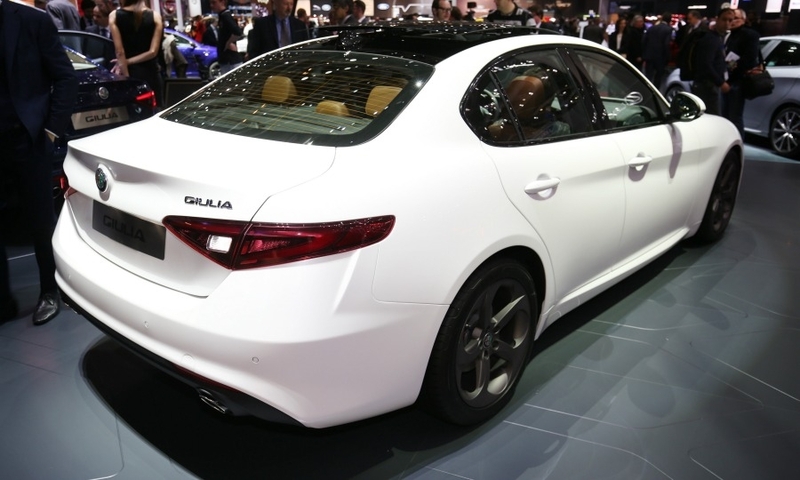 Engines (Europe): The Alfa Romeo Giulia offers a Ferrari-derived 2.9-liter V-6 gasoline (for Quadrifoglio variants), a 2.0-liter gasoline turbo and a 2.2-liter diesel. 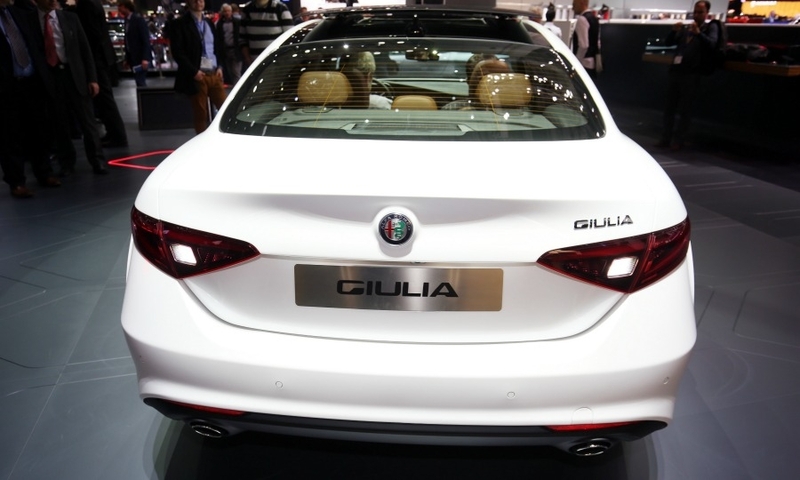 Technology: The Giulia’s new electromechanical braking system is a world first, Alfa says. 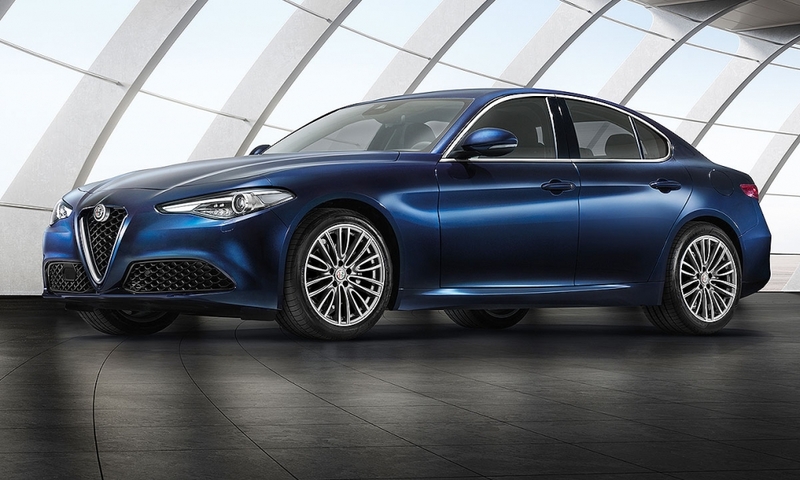 It makes record-breaking stopping distances possible: from 100 to 0 kph in 38.5 meters for the Giulia and in 32 meters for the Quadrifoglio version. 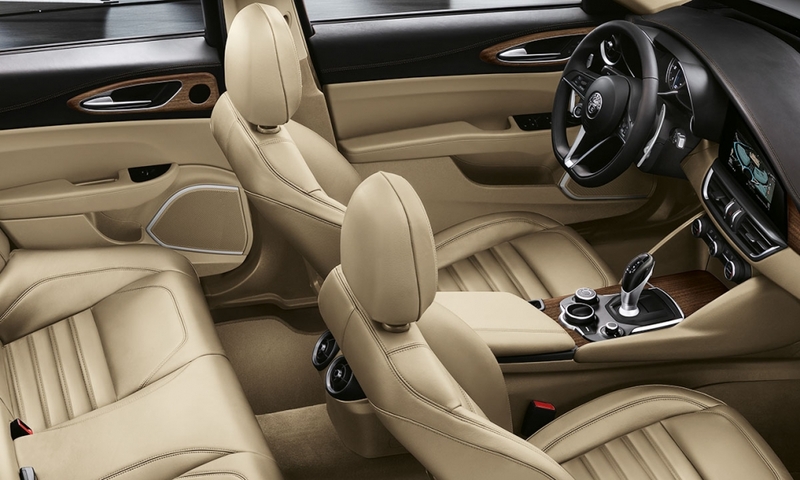 What's good: The Giulia offers superb dynamics and ride comfort and a premium-looking interior. What's bad: Some electronic glitches during the press launch put a question mark against build quality.